When you suffer a serious injury due to the negligence and carelessness of another person life can be overwhelming and scary. You may not be able to. You have no paycheck coming in. Hospital and medical bills are arriving in the mail and you may be worried about how you’ll pay them. Your days are spent going to doctors’ appointments and therapy. You worry about your future. How will the injury affect me? Will I be disabled? Will I be able to return to work? How will I pay for all of the future medical care I am going to require? It is my job as your lawyer to help you during this time. I try to insure that your insurance is paying the medical bills and that you can get the medical treatment you need. Where lost wage benefits are available we pursue these benefits for you. The last thing you need during this time is to worry about a claim for compensation. That is what I will do for you. My law firm offers personal attention to each client. I limit the number of cases I accept in order to give every client and every case the attention it deserves. I will meet with you in person – not a paralegal. Only by getting to know you and the details of your case can I provide you with the best possible outcome for your claim. It is my practice to keep you up to date with your case, to answer every question you have, and to respond promptly to all telephone calls and e-mails. When you hire me, I begin to prepare your case for a successful outcome. I realize that your personal injury claim may be the only way you will have the resources to pay for future medical care or to replace your lost income. An adequate settlement or jury verdict allows people who have been wrongfully injured by another to move on with their lives. I have over thirty years of experience in obtaining successful verdicts and settlements for my clients. I have tried over one hundred jury trials. The difference in my practice is that I consistently bring experience, skill, energy and passion to creating successful outcomes for my clients. I also believe that it is important to hold a negligent person responsible for their actions. If we do not hold someone accountable for careless conduct that caused harm to another person, there will be no change in behavior and the negligent conduct will continue. A successful personal injury claim will change that conduct and make our community safer. Mike is licensed in the states of Kansas and Missouri and in the District of Columbia. 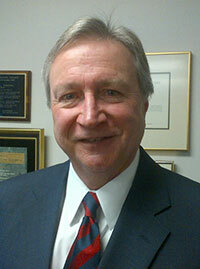 Mike has been active in numerous legal associations. He has served on the Board of Governors of the American Association for Justice. He was elected president of the Kansas Association for Justice and, currently, is the President-Elect of the Wyandotte County Bar Association. More information about Mike’s legal experience and background can be found on his Attorney Profile. For a free initial consultation on your case, please contact Mike.